Robbie Shakespeare closing out the set of Sly & Robbie and the Taxi Gang at the 30th Annual Reggae On The River, Friday Aug. 1. 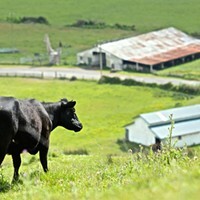 With the fires in Southern Humboldt the festival buzz, attendees partied on well into Saturday morning. 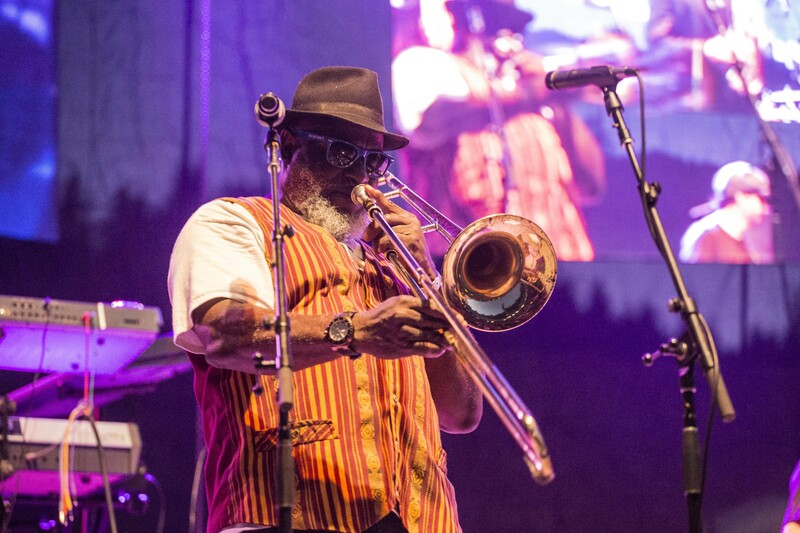 The first evening of the 30th Annual Reggae On The River featured performances by internationally renowned artists from around the globe. 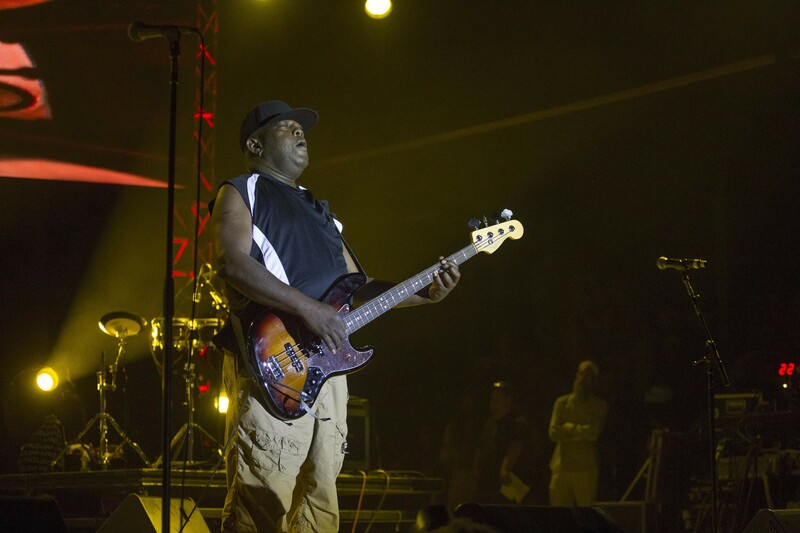 Highlights from the evening included outstanding performances from Sly & Robbie and The Taxi Gang and Michael Rose. Gentleman & The Evolution closed out the first night on the main stage and DJs played at the smaller river stage well past four on Saturday morning. 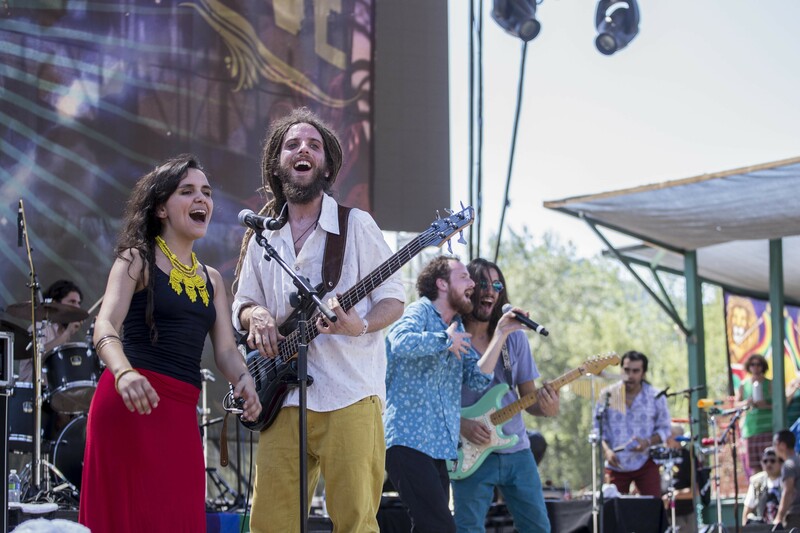 Saturday afternoon included a stellar performance from Ashland, Ore.-based band Indubious, whose genre is self-described as “Rootstronica.” Following after was Abya Yala, a Chilean group with an amazing reggae/roots jazz-fusion sound. Both acts featured enthusiastic members filled with pure talent and energy. 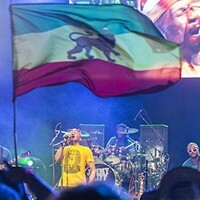 Headlining Saturday was reggae legend Jimmy Cliff with Santa Barbara-based Iration and Jamaica’s Third World. 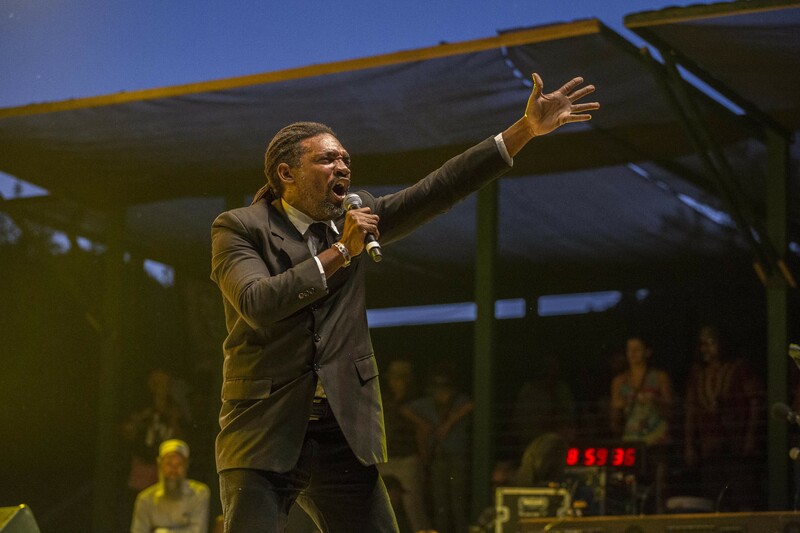 Ronald "Nambo" Robinson performing with Sly & Robbie and the Taxi Gang at the 30th Annual Reggae On The River 2014, Friday Aug. 1. 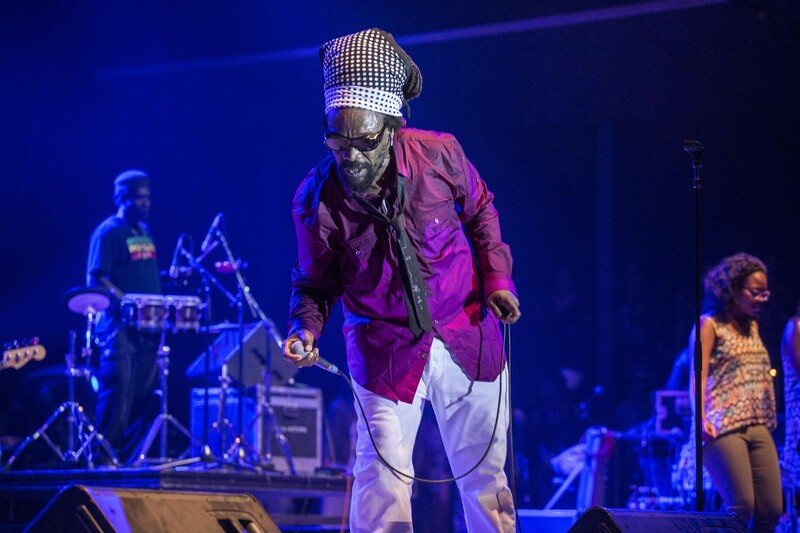 Peter "Peter G" Gayle performing with Sly & Robbie and the Taxi Gang at the 30th Annual Reggae On The River 2014, Friday Aug. 1. 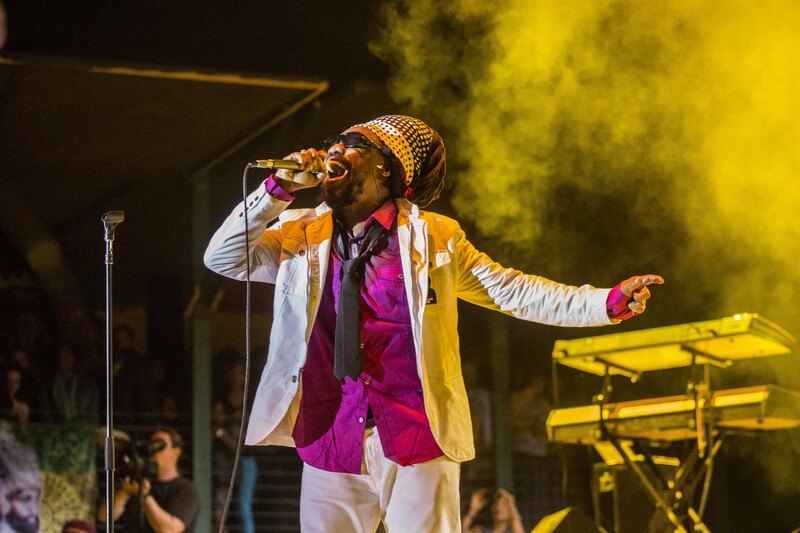 Michael Rose performing on the first evening of the 30th Annual Reggae On The River 2014, Friday Aug. 1. 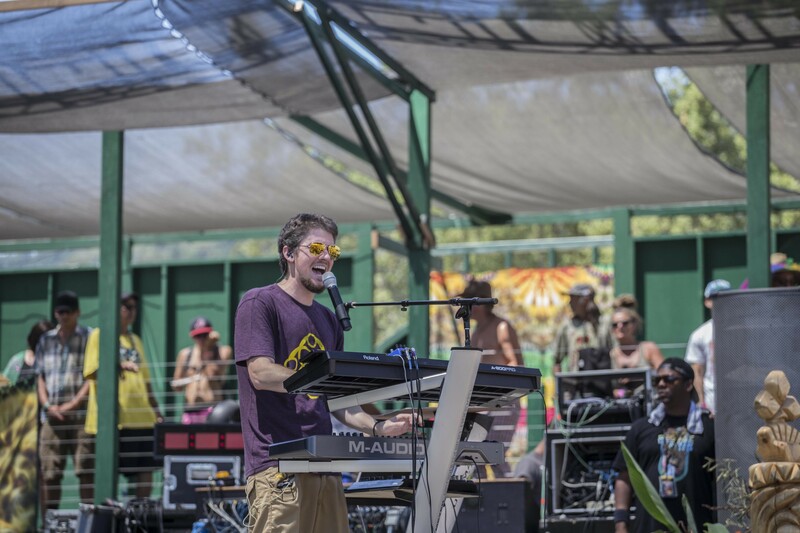 Evan "Evton B" Burtan performing with Indubious at the 30th Annual Reggae On The River 2014, Saturday Aug.2. 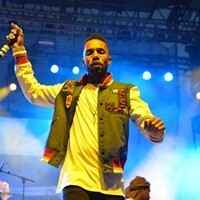 Spencer "Skip Wicked" Burton performing with his band Indubious at the 30th Annual Reggae On The River 2014, Saturday Aug. 2. 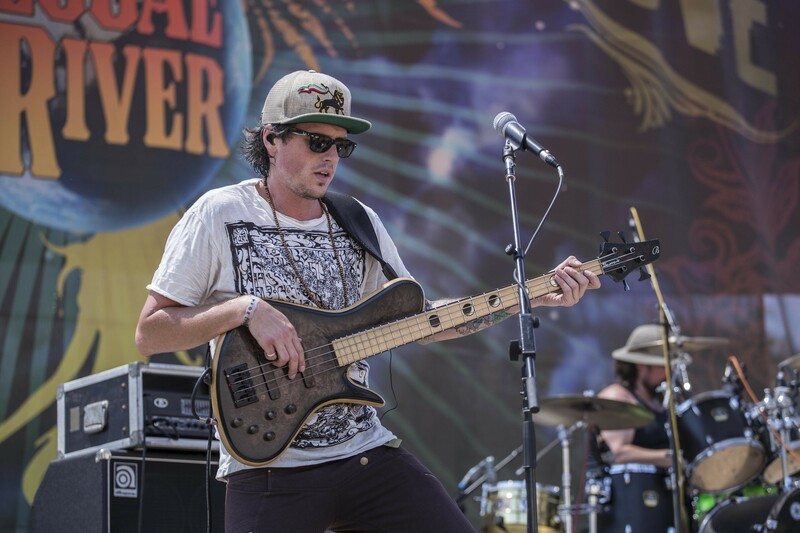 Nicolas Libertad of Abya Yala performing the afternoon of day two at the 30th Annual Reggae On The River 2014, Saturday Aug. 2. 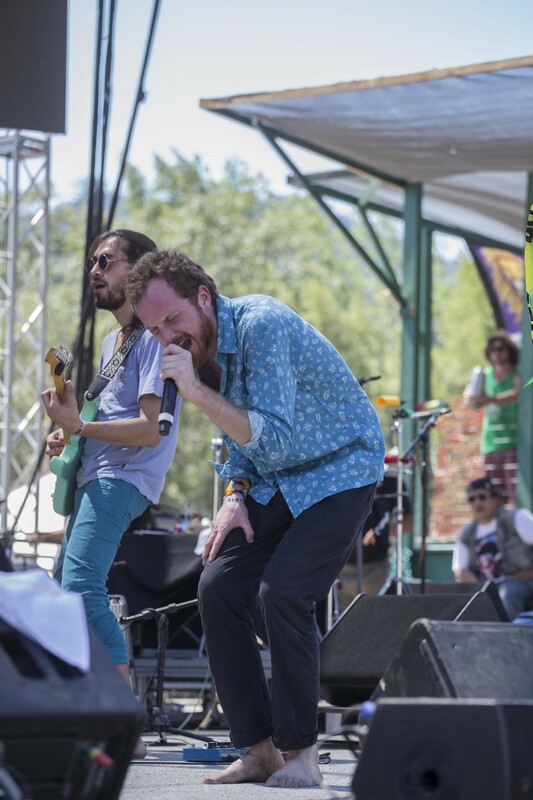 Abya Yala performing on the second afternoon of the 30th Annual Reggae On The River 2014, Saturday Aug. 2.